I was wondering how many people are having similar issues with rust/paint peeling. 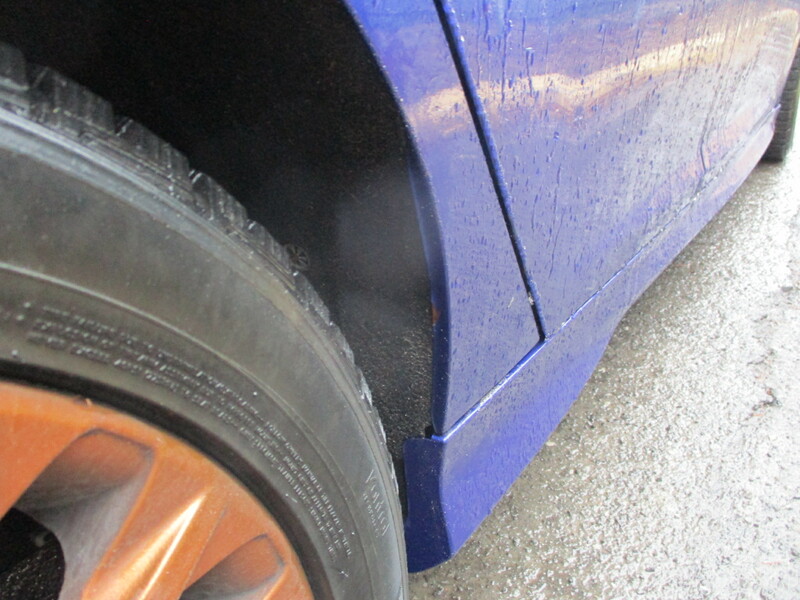 I have a 2014 PB ST with 49,600 km that has rust appearing in the same spot on both wheel wells (the drivers side is far more advanced). 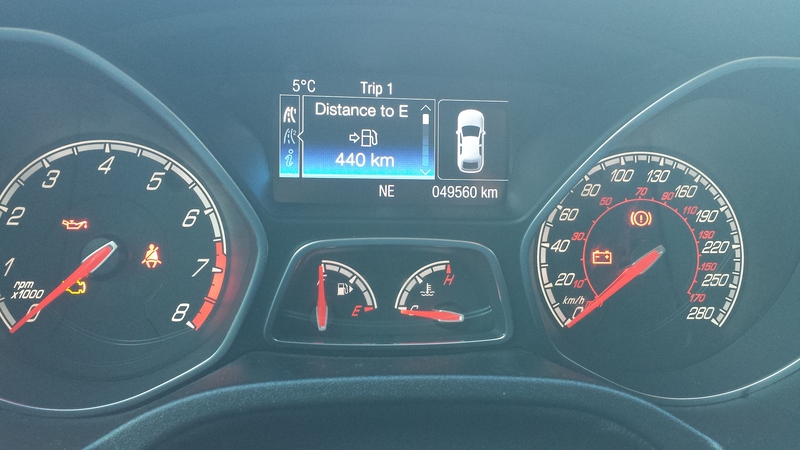 My local ford dealership took pictures and submitted to Ford Canada, who took less than two days to "review" and deny the claim. I then emailed Ford Canada customer relations centre who simply told me the paint warranty is only three years and there is nothing they can do. I factory ordered this car and have taken meticulous care of it (wash weekly in the winter, rustproof, etc) so this is extremely frustrating. I have owned many cars and none have ever rusted like this, particularly after only 49,000 km. This is disappointing as I am a Ford fan but this experience has soured me on the brand (in particular their "customer service"). I'm afraid my next car won't be a Ford product. No(t yet), but now's the time to take care of it while it's still solid. At least get something to seal it for now (Not primer!—it's water permeable.). They use a lot of salt on the roads, there, don't they? New England uses a lot of sand, which seems better for cars, but that's relative of course. I have rust forming from a stone chip on my hood. At 75k miles, and I live in Michigan, so it was bound to happen.. my mudflaps have prevented rust in the wheel arches though. My bad didn't even notice it was in front of the wheel. I have to get a little touch up paint before mine starts rusting. I was beating the Factory rotor off yesterday the hammer bounced off and hit the lip of my wheel well and chipped the paint.oops! 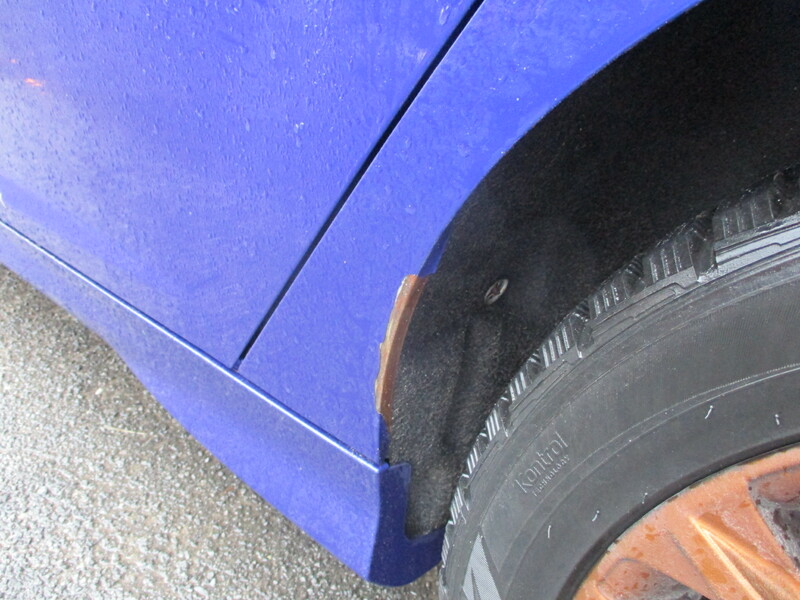 It's actually both the rear wheels...mudflaps would have helped in that particular area but I also noticed rust forming on the seam at the bottom of the hatch. The paint doesn't seem durable at all on these cars. 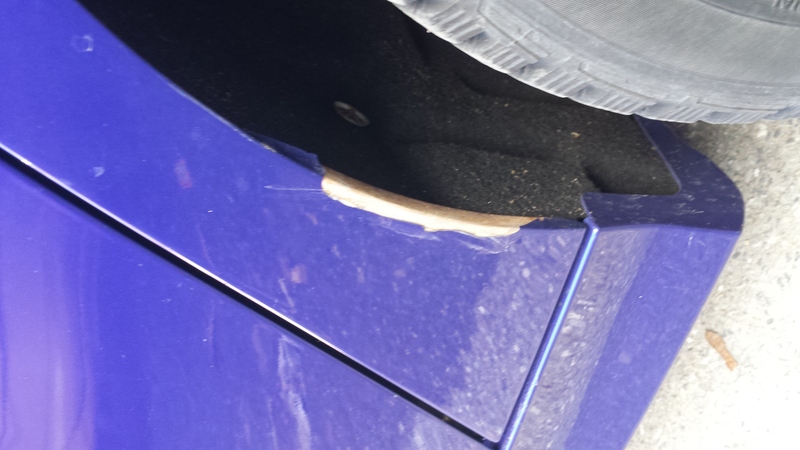 The seams aren't sealed very well on these cars. I added seam sealer to the undersides of the doors. You can pick up containers of it that look like grease tubs. Mudflaps wouldn't do much as the bodywork behind them on the rear wheel arches is plastic. Besides that, salt and grit can work their way between the flaps and bodywork so, while it may help the area in the wake behind it, if it's sitting on a painted part, the paint under where the flap is attached is in danger much like hoods under those old fashioned nose bras, but not as bad. Doesn't matter much being on plastic, but can be problematic with metal. It looks like the paint on this wasn't bonded well. In some ways that's good as, if you otherwise see rust forming, it's when it's worked itself through the paint from underneath, requiring more extensive restoration (like my Mazda or my three Subarus or my Datsun Zs). Of course, why this didn't bond and how much of the rest is poorly bonded is the worry going forward, but you can only really deal with the problem areas as they come. I am starting to have the same issue in the exact same area. Just not as bad as yours, as my paint is still on. I too keep care of my car ie regular washes and rustproofing. Which rustproofing company did you use? And have you checked with them if they can help? I know that Krown has a warranty if you spray every year. I use their can spray in those areas you mention and seems to be holding it back. JBR shift knob chipping and rusting, anyone else? Rusting around engine parts.. Turbo?